LONDON, UK, July 17, 2018 — Bowman International, the UK’s leading manufacturer of bearings and sintered components, today announced its partnership with automation software specialists, AMFG. The partnership comes as Bowman International expands its additive manufacturing division, Bowman Additive Production, with the division using AMFG’s AI-powered production automation software to oversee its end-part production. With over 40 years’ industry expertise, Bowman International is one of the leading players in the bearings and sintered components market. 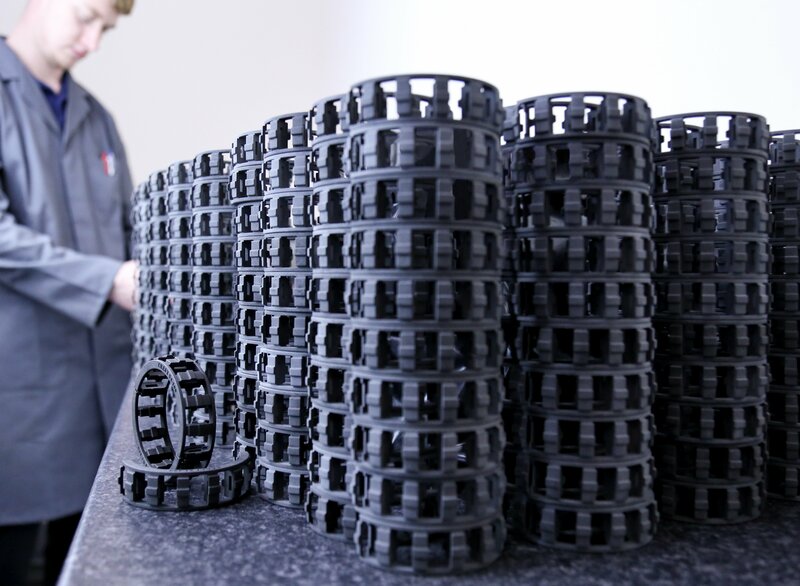 The company’s innovative approach and adoption of additive manufacturing is enabling them to revolutionise the manufacture of bearings and help other companies do the same within their respective industries. With several HP and SLS systems at its disposal, it is also one of a handful of companies in Europe to have the latest HP Nylon PA11 material. Bowman’s partnership with AMFG will enable Bowman’s experienced team of engineers to streamline its entire AM production process, for example using printability analyses to optimise digital CAD files for production. The software also allows Bowman to automate the scheduling of production jobs, verify the build status of parts and automatically generate data intelligence reports. Additionally, the software has been integrated with Bowman’s ERP system and provides the company with a custom digital part catalogue. The bearings industry is facing an increase in demand for additive manufacturing, as the technology offers a cost-efficient way to produce complex components. Using the technology, Bowman has already been able to increase the load bearing capacity of its split bearings by up to 70%, and an increased working life of 500%.